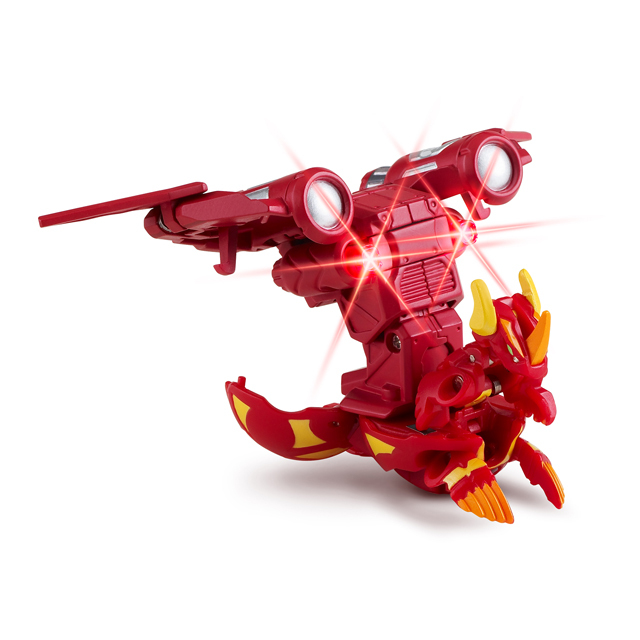 July-August 2010: An exciting addition to the waves of Gundalian Invaders Bakugan is the Bakugan Deluxe Battle Gear. What makes them special? 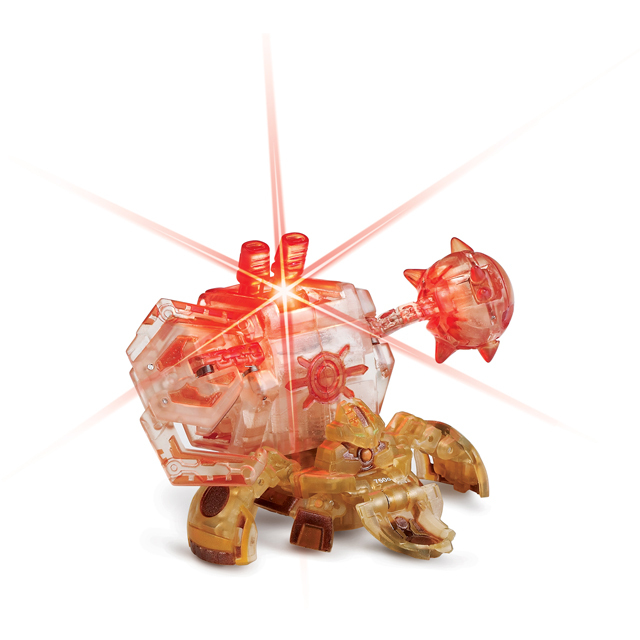 Not only are they bigger versions of the original battle gears, they also LIGHT up! The pack also comes with a Gate Card and a Battle Gear Reference Card. 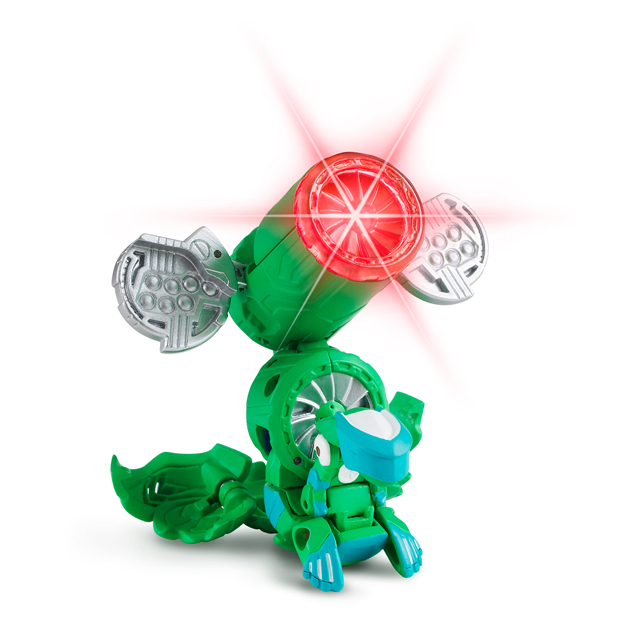 It also comes with its unique DNA code that you can use in Bakugan Dimensions. 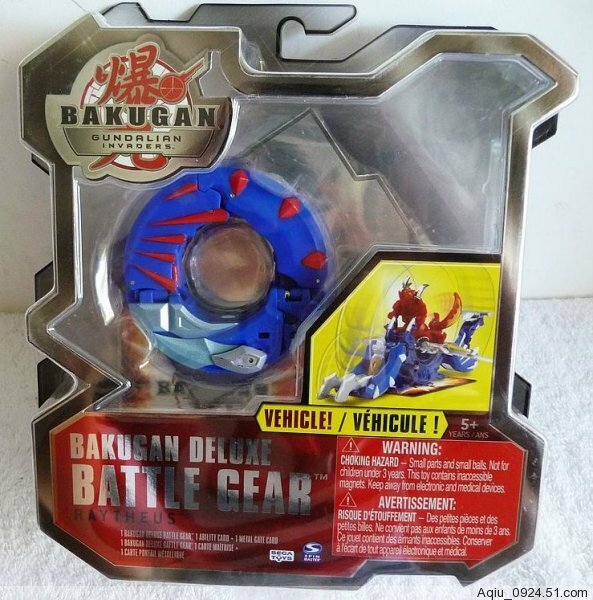 Another type of Bakugan Deluxe Battle Gears come in the form of vehicles. 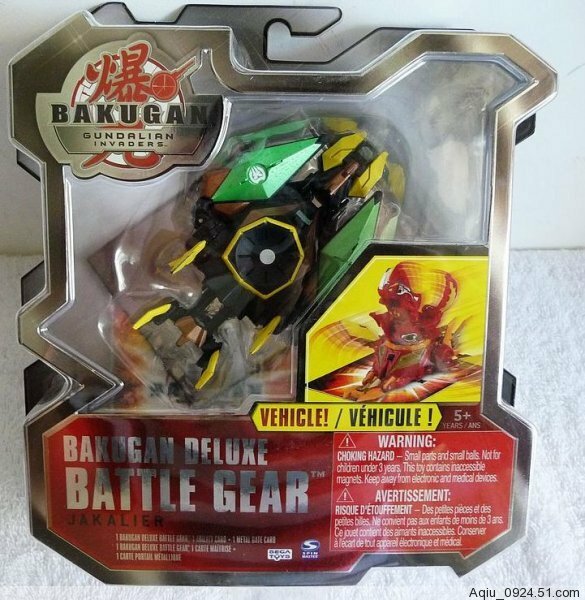 Instead of the battle gear being placed on the back of the Bakugan, with the Mobile Assault Vehicles the Bakugan will be on top of the battle gears, seemingly riding on them. 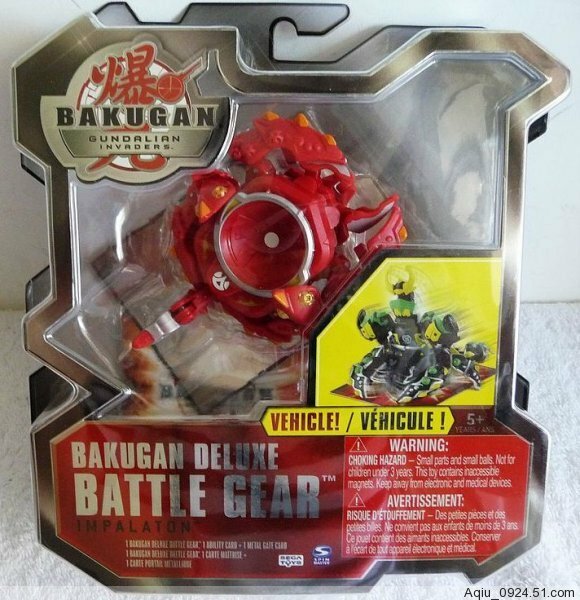 Only two has been shown in the Bakugan season 3 anime series so far --- the Impalaton and the Dharak Colossus (which is actually a combination of a hub and battle gears). Dharak Colossus and Dragonoid Colossus are the ultimate weaponry of Dharak and Dragonoid, respectively. 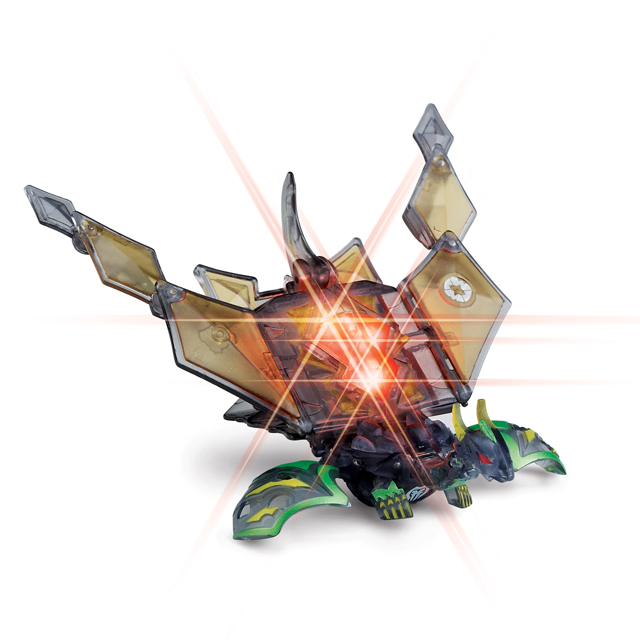 They are made up of a a transformation hub and the battle gears, along with the core Bakugan of Dharak and Dragonoid. 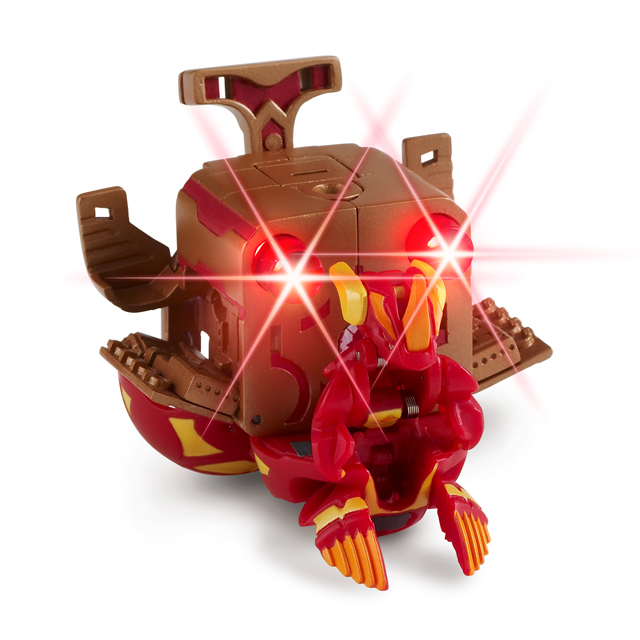 The Dharak Colossus is an exclusive product from Toys R Us, and is unavailable anywhere else. 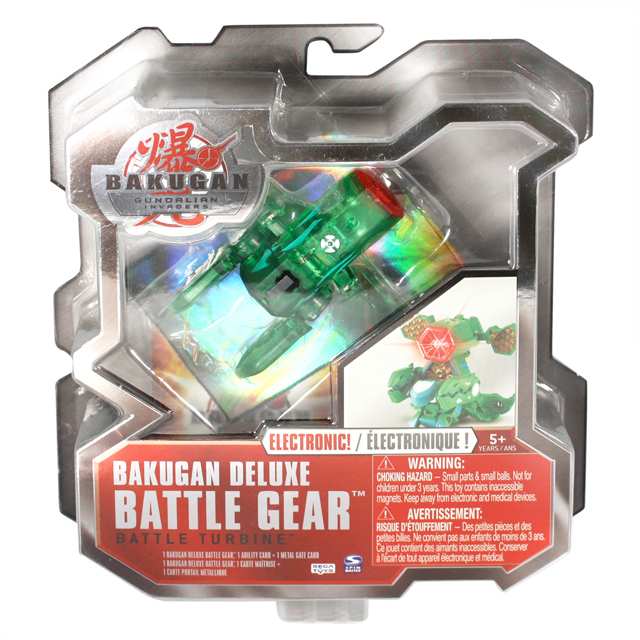 Purchase Bakugan Deluxe Battle Gear Below.